Digital set-top box and remote required to receive Video On Demand services. Video On Demand service subject to availability based on customer’s current video tier subscription. Programming, content and services are effective beginning 5/16/16 and are subject to change upon proper notice. Products or services not available in all areas and may vary by area. Discounted HD set-top box valid on up to 3 outlets per household. 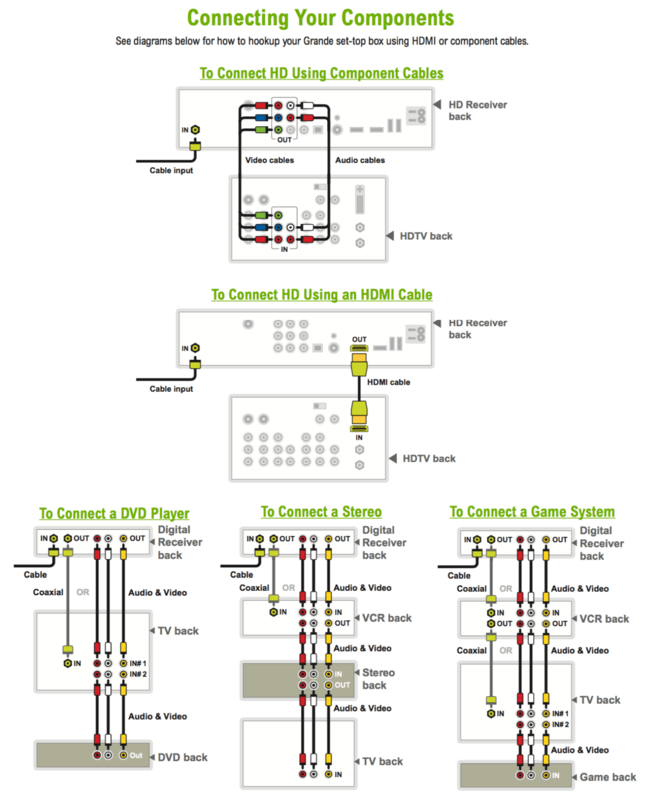 In month 1-12 the first HD set-top box is free. In month 13 it will then be $2.99 per month. In month 1-12, HD set-top boxes 2-3 are $2.99 per month. In month 13 they then will be $4.99 per month. Call for discounted TiVo equipment discounts. Offers expire 7/31/16 or while supplies last. Other restrictions apply. © 2016 Grande Communications. All rights reserved.